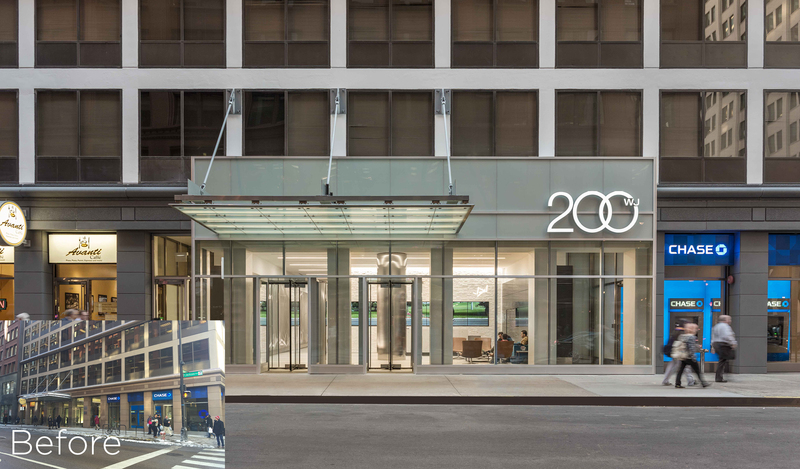 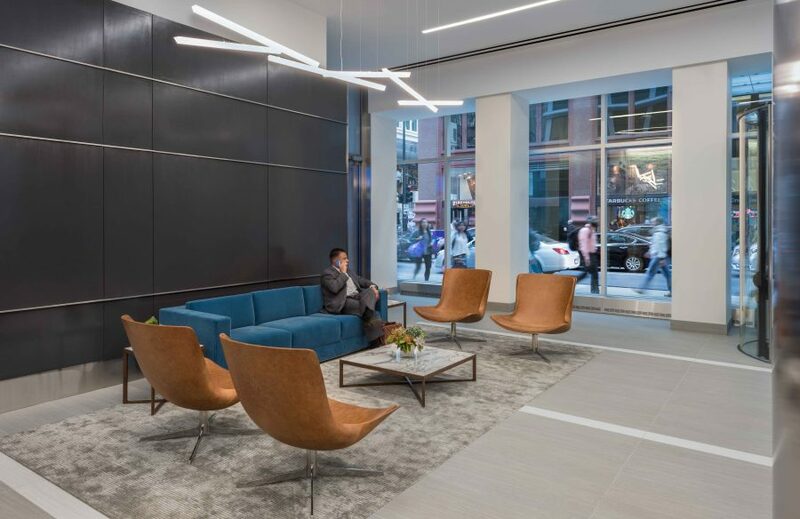 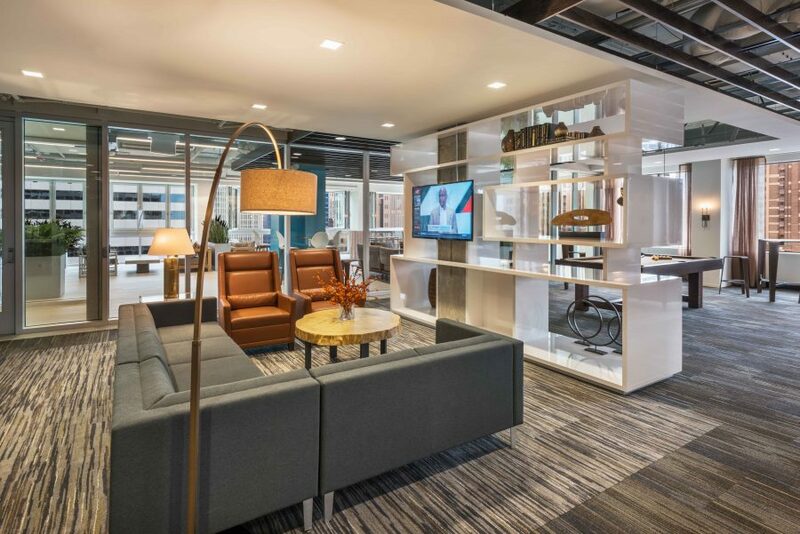 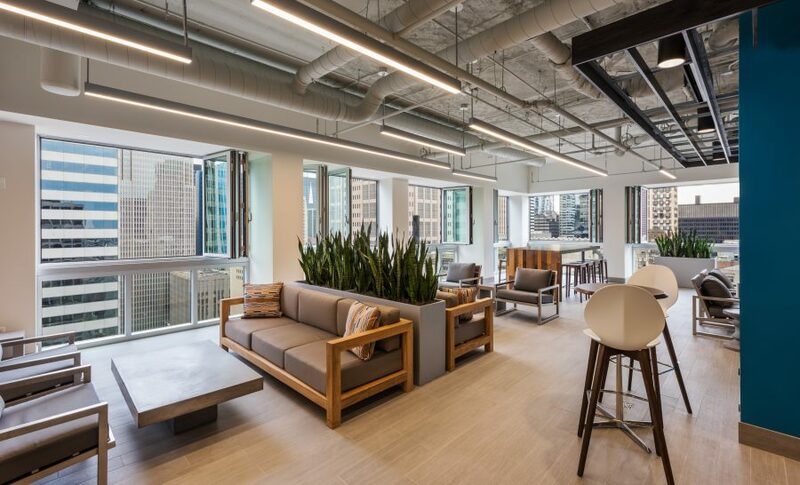 200 W Jackson is a classic 29-story office building in the heart of Chicago’s Loop that is now anything but traditional. 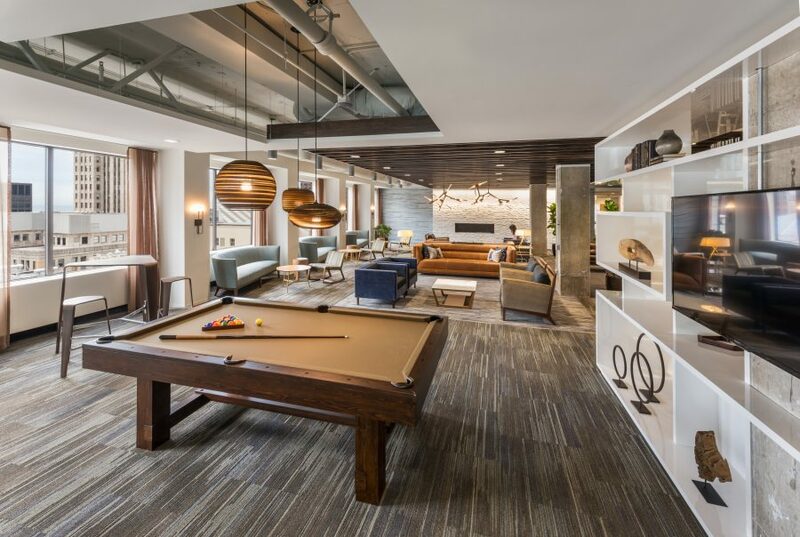 With an eye on companies seeking a space to ignite employee engagement and culture, the high rise now features a new amenity space on the 28th floor, which boasts The Notch, a four-seasons hospitality lounge open to everyone who works in the building, with windows that open out to the city, and a bar and recreation area designed to recall a hotel indoor/outdoor reception area and give employees a break from the daily grind. 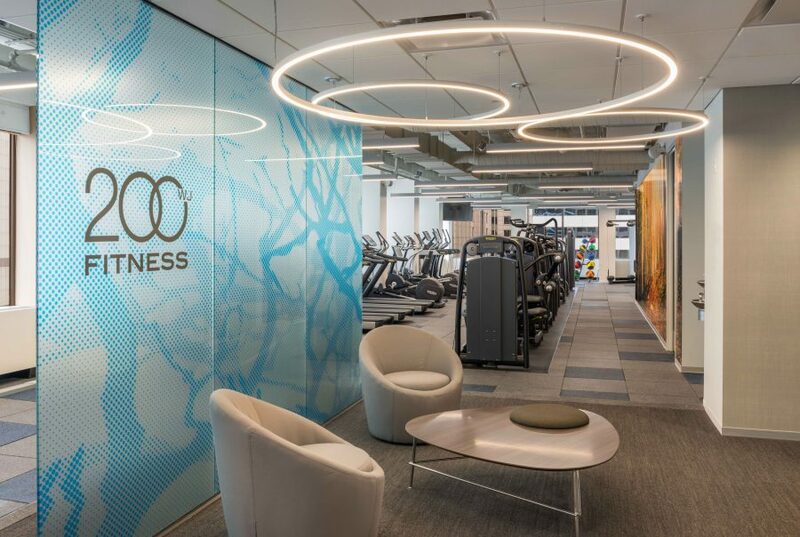 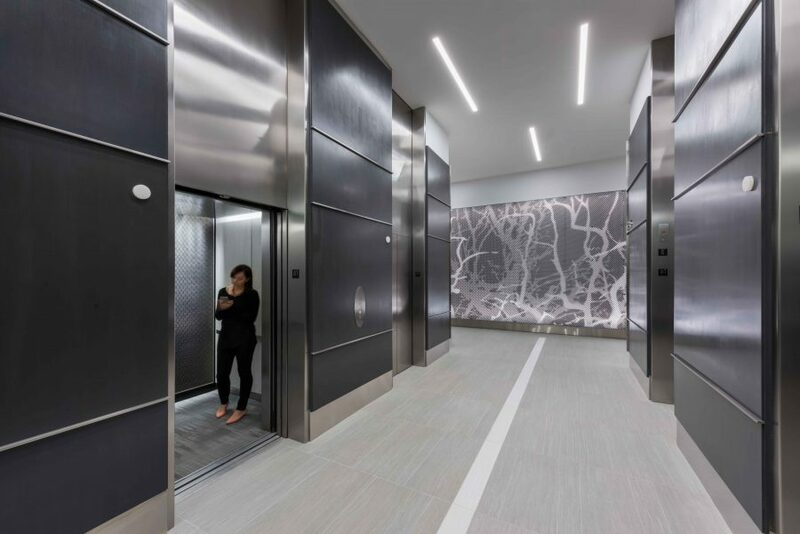 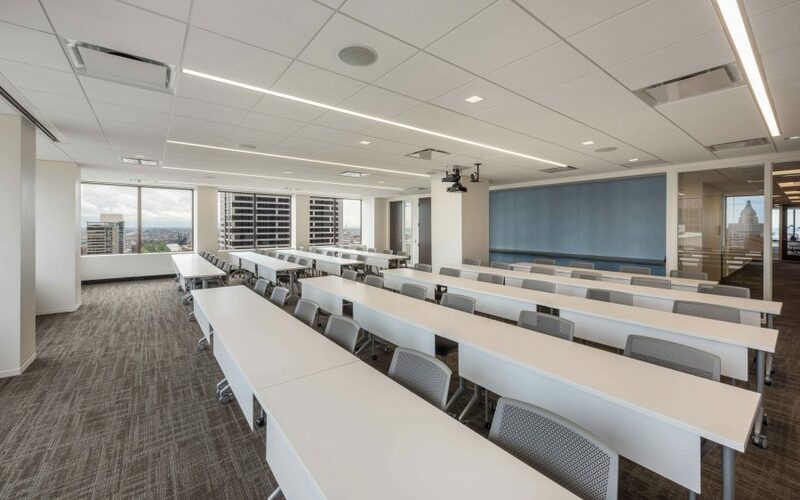 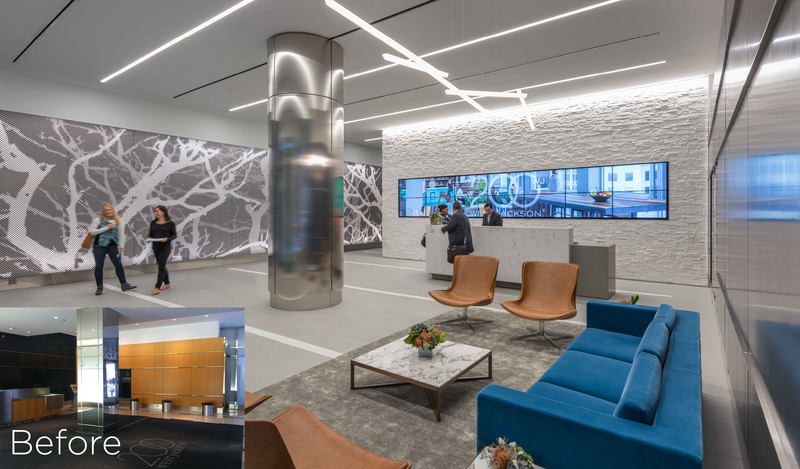 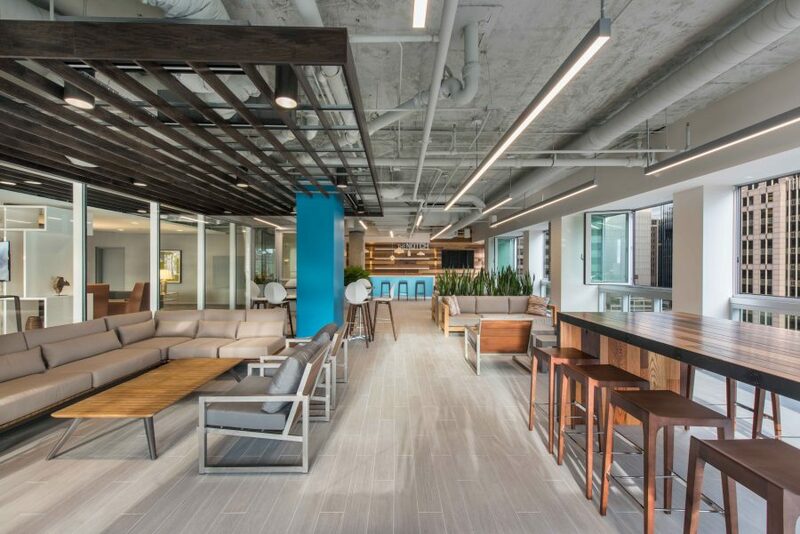 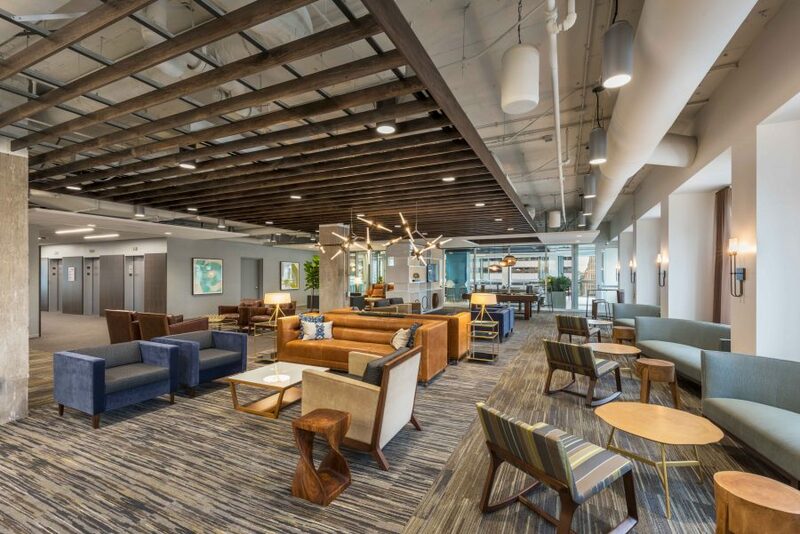 Features of the amenity floor include The Notch lounge, full service conference facility, fitness center, and access to healthy and convenient food.